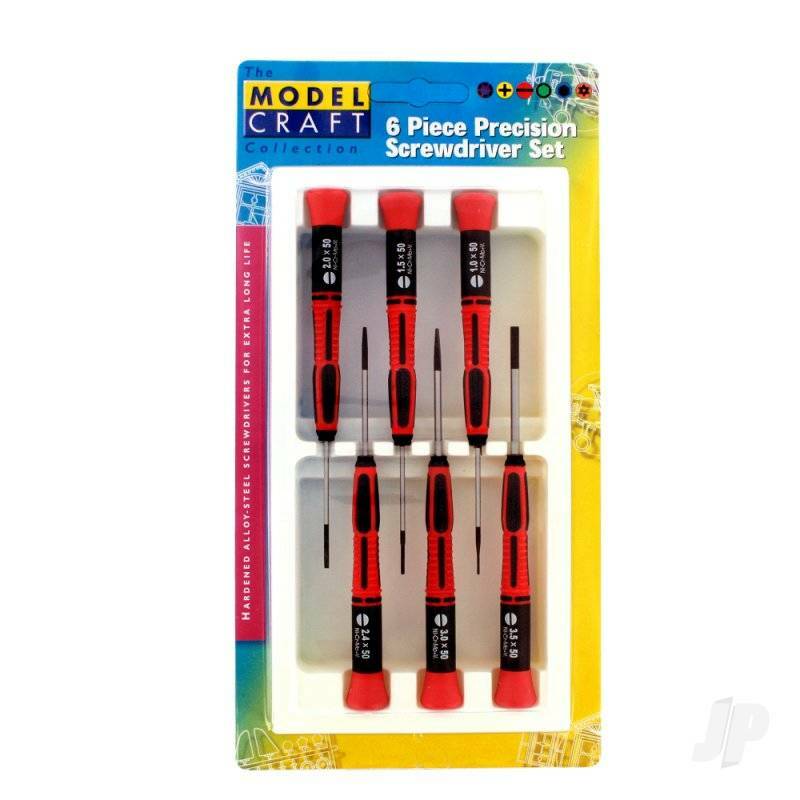 1.0, 1.5, 2.0, 2.4, 3.0, 3.5, x 50mm. 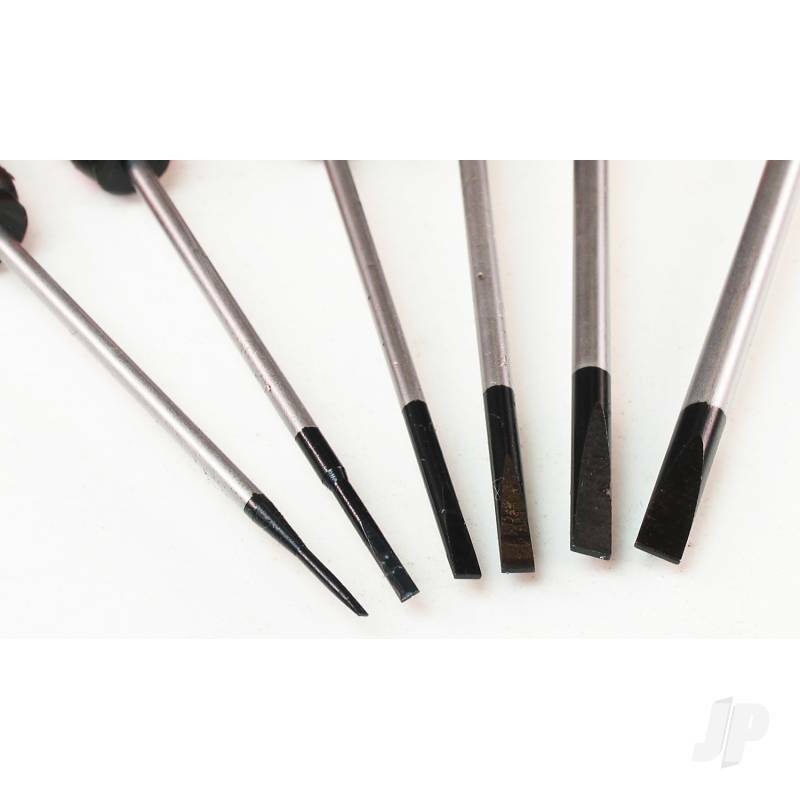 Satin chrome plated and black finish tips. 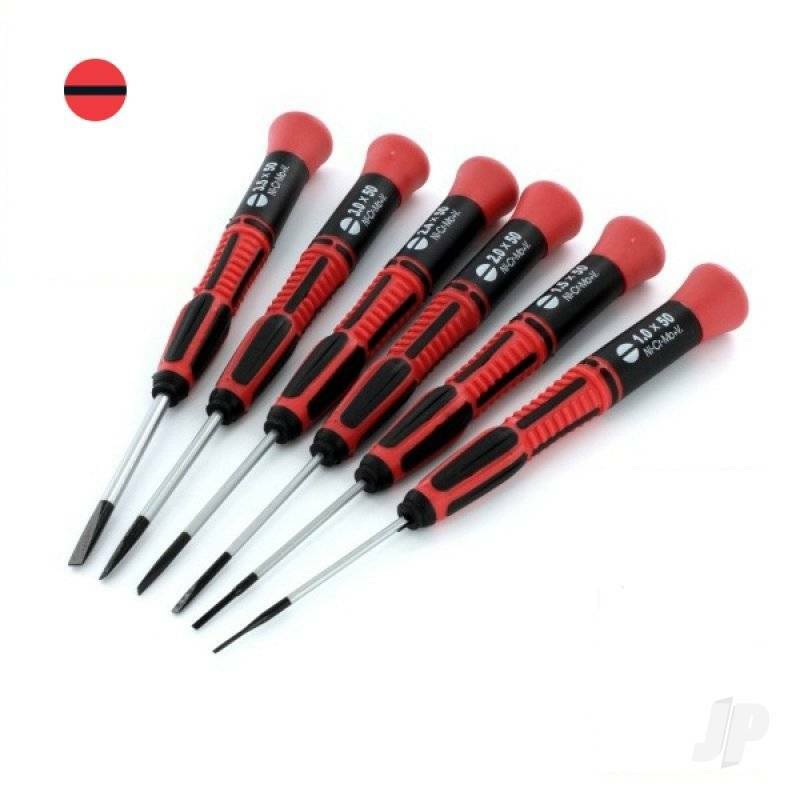 Set of 6 Nickel Chrome Molybdenum alloy steel screwdrivers.